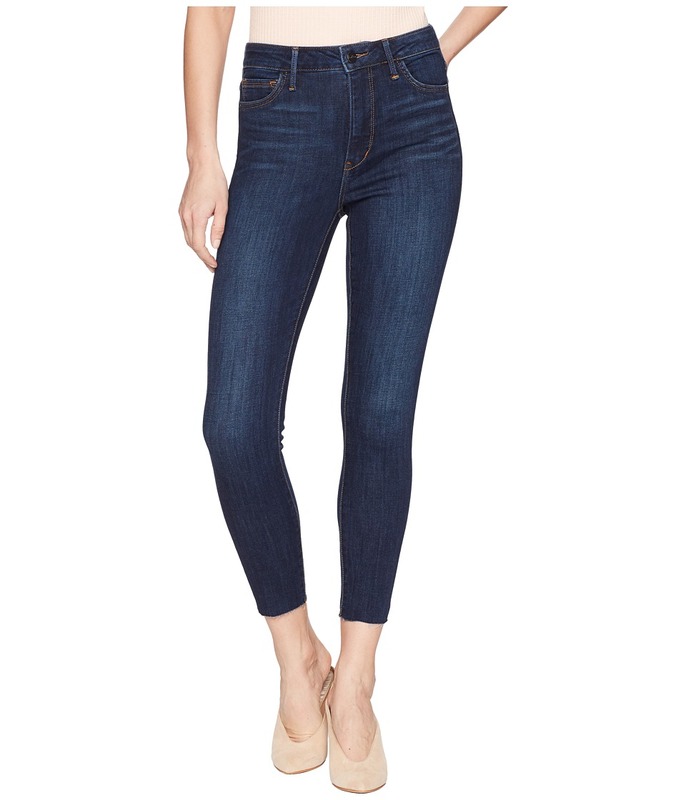 These Sam Edelman Kitten Ankle Jeans will soon be a closet staple. The Kitten Ankle features a mid-rise and a skinny fit from hip to hem. Brazil is a crisp and clean white wash that adds versatile styling through the season. 10 oz stretch denim. High-low raw hem detail. Classic five-pocket design with brand embroidery at the corner right pocket. Tonal topstitching. Polished logo hardware. Belt loop waistband. Zipper fly and button closure. 70 percent cotton, 28 percent rayon, 2 percent spandex. Machine wash and tumble dry. Imported. Measurements: Waist Measurement: 28 in Outseam: 37 in Inseam: 28 in Front Rise: 9 in Back Rise: 12 in Leg Opening: 10 in Product measurements were taken using size 26, inseam 28. Please note that measurements may vary by size. Your style will slay this season with these Sam Edelman Lotus Shorts. The Lotus features a regular rise, roomy fit through the thigh, and a moderate-length inseam. Danni is a minimally distressed minimally blue wash with fading through the front. Grinding throughout offers effortless vintage appeal. 9 oz comfort stretch denim. Frayed hem detail. Classic five-pocket design with brand embroidery at the back corner pocket. Contrast topstitching. Logo branded hardware. Belt loop waist. Zipper fly and button closure. 99 percent cotton, 1 percent spandex. Machine wash and tumble dry. Imported. Measurements: Waist Measurement: 28 in Outseam: 11 in Inseam: 4 in Front Rise: 9 in Back Rise: 11 in Leg Opening: 11 in Product measurements were taken using size 26, inseam 4. Please note that measurements may vary by size. You~ll look fab all season long with these Sam Edelman Drew Shorts. The Drew features a regular rise and a relaxed fit through the thigh. Ivy is a whiskered and faded medium blue wash with subtle grinding in the pockets for a light wear-and-tear look. 10 oz stretch denim. Tacked cuffs with raw edges. Classic five-pocket design with brand embroidery at the right back pocket. Contrast topstitching. Bronzed-finished logo hardware. Belt loop waistband. Zipper fly and button closure. 98 percent cotton, 1 percent polyester, 1 percent spandex. Machine wash and tumble dry. Imported. Measurements: Waist Measurement: 30 in Outseam: 11 1 2 in Inseam: 3 1 2 in Front Rise: 9 in Back Rise: 12 in Leg Opening: 20 in Product measurements were taken using size 26, inseam 3.5. Please note that measurements may vary by size. These Sam Edelman Kitten Ankle Jeans will soon be a closet staple. The Kitten Ankle features a mid-rise and a skinny fit from hip to hem. Ambrose is a sleek black wash with minimal fading and whiskering. A beaded and fringe detail at the cuff provides an elevated look. 9 oz stretch denim. Classic five-pocket design with brand embroidery at the corner right pocket. Tonal topstitching. Black matte hardware. Belt loop waistband. Zipper fly and button closure. 65 percent cotton, 23 percent polyester, 10 percent rayon, 2 percent spandex. Machine wash and tumble dry. Imported. Measurements: Waist Measurement: 26 in Outseam: 37 in Inseam: 27 in Front Rise: 9 1 2 in Back Rise: 12 in Leg Opening: 10 in Product measurements were taken using size 26, inseam 28. Please note that measurements may vary by size. These Sam Edelman Stiletto Skinnies will never fall out of favor. The Stiletto boasts an on-trend high rise and a super-skinny fit from hip to hem. Jacob is a dark blue wash with whiskers and fading through the front for an effortless lived-in look. 10 oz stretch denim. Raw hem detail. Classic five-pocket design with brand embroidery at back right pocket. Seamed front pockets. Contrast topstitching. Black matte hardware. Belt loop waistband. Zipper fly and button closure. 62 percent cotton, 24 percent modal, 12 percent polyester, 7 percent spandex. Machine wash and tumble dry. Imported. Measurements: Waist Measurement: 26 in Outseam: 36 in Inseam: 26 in Front Rise: 10 in Back Rise: 12 in Leg Opening: 5 in Product measurements were taken using size 26, inseam 26. Please note that measurements may vary by size. She can easily express her standout style with the Sam Edelman Kids Bella So Emotional slip-on sneaker! Rhinestone-encrusted man-made upper features embroidered text and emoji appliqu&amp#233. Easy slip-on design. Classic round toe. Rear pull-tab and side goring offers easy wear. Side-zip accent with tassel. Smooth iridescent trim and collar. Padded collar for added comfort. Man-made lining. Lightly cushioned footbed. Durable man-made outsole. Imported. Measurements: Weight: 7 oz Product measurements were taken using size 13 Little Kid, width M. Please note that measurements may vary by size. Weight of footwear is based on a single item, not a pair. 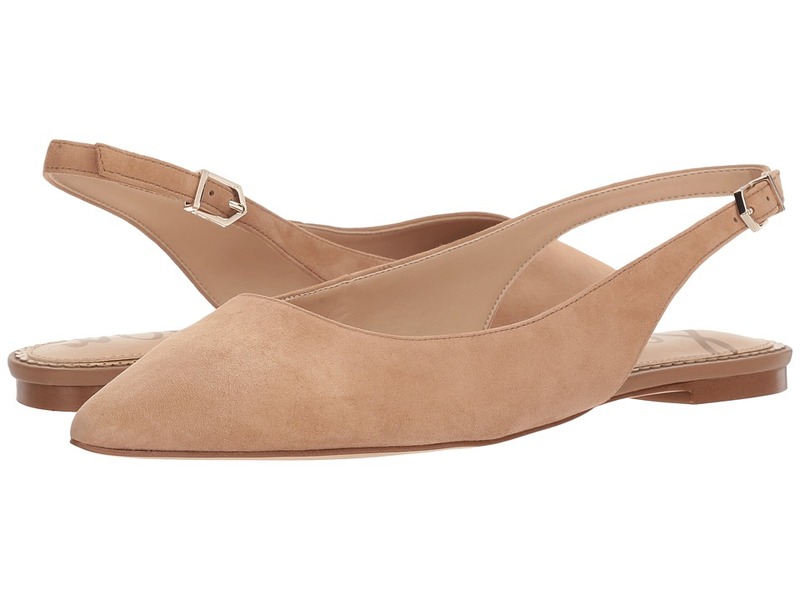 Enjoy your morning at the cafe in these sleek Sam Edelman Raya flats. Flats with leather upper. Back strap with buckle closure. Pointed-toe silhouette. Synthetic lining. Lightly-padded, fixed footbed. Synthetic outsole. Imported. Measurements: Heel Height: 1 2 in Weight: 7 oz Product measurements were taken using size 9, width M. Please note that measurements may vary by size. Weight of footwear is based on a single item, not a pair.